Rallying is one of the most popular forms of motorsport and extends from club rallies at weekends where competitors are in it for the fun as much as the winning, up to the World Rally Championship (WRC) where manufacturers’ teams and professional drivers compete for large stakes in various exotic locations around the globe. A crew of driver and navigator compete to set the fastest time over a course known as special stage, on private land such as a forest track or airfield, or a closed road. Cars set off individually, typically at one-minute or 30 second intervals intervals. A number of stages are run and the times for all the stages are added together to find the winner. For a club event the stages may be all at the same venue on the same day (a single venue rally), wheareas the British WRC round takes three days and covers much of Wales. The cars are basically normal mass-produced cars but all are modified to improve safety and many for higher performance as well. Some manufacturers produce high performance versions of their usual family cars specifically for international rallying for sale directly to competitors. 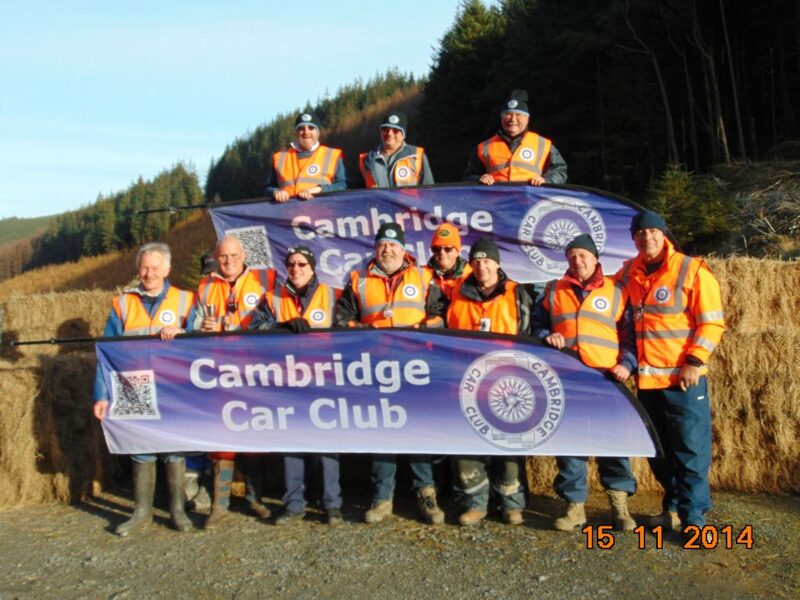 To run a rally requires a large number of marshals – the officials in orange tabards who line the course and keep the event running safely when crews “go off” or have car problems. There is increasing recognition that the future of motorsport in this country is directly linked to the number of individuals who are willing to marshal at events or officiate. CCC marshal on several rallies each year, in many instances by running time controls at the start or finish of the special stages. Our Event Calendar gives details of where and when. 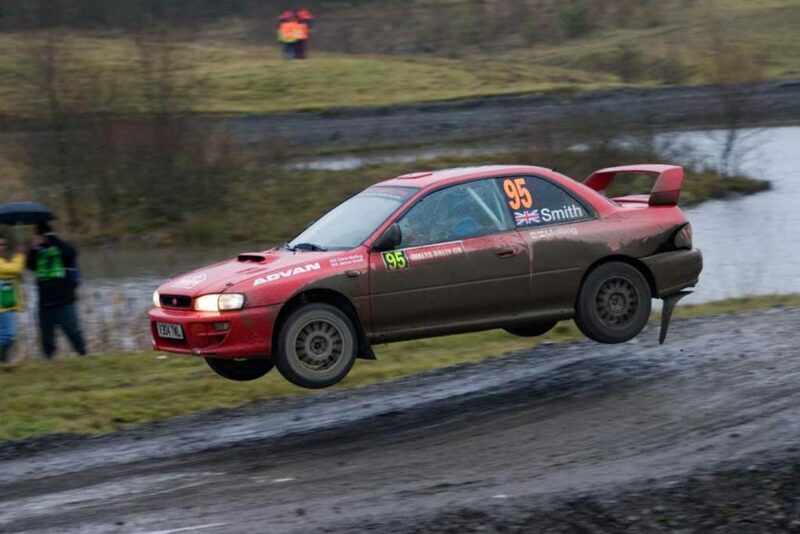 CCC member Jamie Smith getting his Impreza airborne on Rally GB. The Team on Wales Rally GB. Some times the weather is OK.